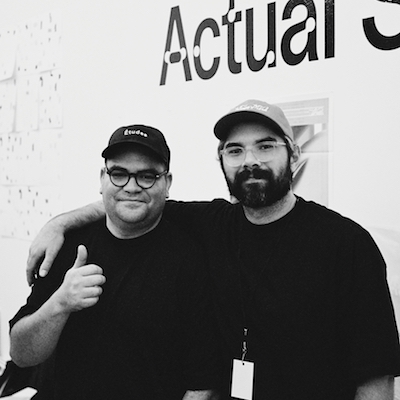 Actual Source is the collaborative art and design practice of Davis Ngarupe and JP Haynie. They design publications, identities, websites, and spaces for local and international clients. In addition to studio practice, Actual Source operates as a multi-format publisher, brand, and retail store that collaborates with contemporary artists, designers, and writers to publish limited edition books, fonts, clothing, and objects.